AMS Performance Intercooler Piping Kit MITSUBISHI - Dezod Motorsports Inc - Home of the automotive performance enthusiast since 2002. AMS Performance Intercooler Piping Kit is a direct replacement for your factory intercooler pipe. Made from lightweight 2.5” mandrel bent aluminum tubing this pipe includes features such as a smooth, non-turbulent transitions for maximum performance. The pipe ends are bead rolled and the assembly is mounted to in the factory location to help prevent couplers from popping off under boost. All the factory couplers are replaced with quality 4-ply silicone pieces which can endure 50 + psi of boost! We also utilize a silicone “hump hose” to prevent torn couplers caused by engine movement. 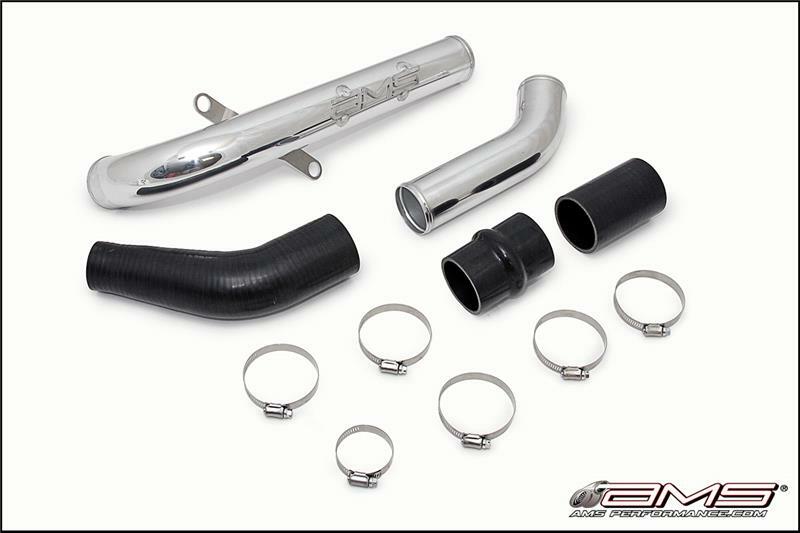 All AMS Performance Intercooler Piping Kits are professionally TIG welded in house by our master fabricators and is available polished or black wrinkle powder coated.